We all want more of it, don’t we? Whether it’s your job, your kids, your whole family, your friends, etc, it all adds up quick! It’s essential that you always make TIME for yourself. Your health, happiness, sanity, it all depends on it! How can Manic help with the issue of TIME? We are going to help you manage it, and justify making the necessary adjustments in your schedule to make TIME for yourself. It’s not that we don’t have time, it’s that we don’t alway prioritize how we spend our time. It’s human nature. Fortunately for you, the nature of Manic is to prioritize your time for you! Get home from work, look for your clothes to take to the gym with you. You actually put thought into this because so many people are actually there judging you instead of working out themselves (you learn pretty early that no one cares what you wear at Manic, they are just trying to survive, in a good way, half the time). Get in the car, drive 5-12 minutes. Park 5 minutes from the door. Check in. Go to your locker. Psych yourself up. Walk to the gym floor. Realize you have no idea what you want to do. Hop on the ellyptical or other go to machine. Realize you “aren’t into it tonite” and also realize “you have so much to do”. Leave before you are even through warming up. Gather your things, head home. All of that, without a workout, has taken you about an hour. We start on time, and we end on time, everyTIME. From the moment you arrive, our trainers and staff are on it. We know you are here for you, and our classes reflect your dedication to yourselves. We’re not going to make you wait! A quick 10 minute warm up flies by, and then a brief 5-6 minute room set up and instruction follow. Next up, a 40-ish minute challenging full body workout. Both mental and physical components will keep you engaged for the entirety of the class until suddenly, TIME is up. The hour is over. How so fast? You kept yourself immersed in the moment and the task at hand. Now, when you leave right after class is over (having helped wipe down equipment, and talked to your friends for a couple of minutes), and its only been 1 hour and 11 minutes from the time you arrived, to the time you got back in your car, you know it was worth it. All in one hour’s TIME. Where else can you set goals, work towards them, achieve some, and set new expectations all in one hour’s time, day in and day out? Now you can get home, and get your kids off to school, prepared for all that the day will bring, knowing that you’ve done you, and it’s all gravy from here. You can wake up in the morning, energized for the day ahead, knowing that at the end of your day, your hour to yourself awaits YOU. 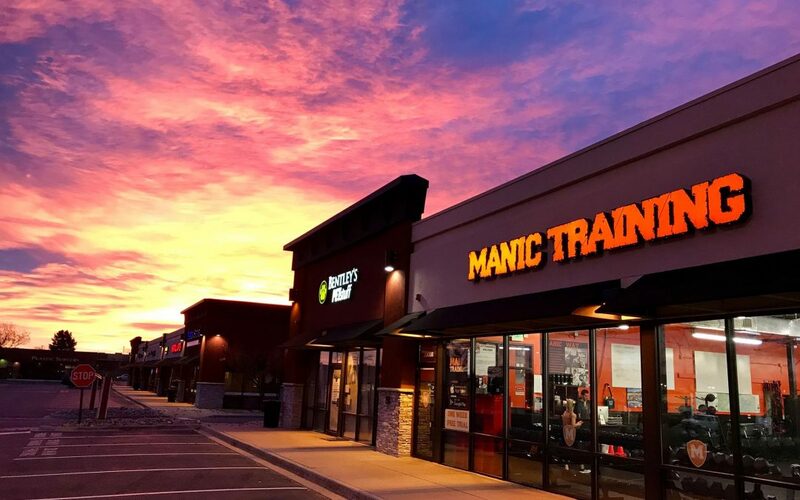 Sure, its only ONE hour, but having been at Manic for the last few weeks, you know that that hour is capable of doing so much for you. Once you’ve had your afternoon workout, it makes it that much easier to accomplish all thats left to do in your day, and you can go to sleep and wake up the next ready for each moment that awaits. The holidays can be even more trying for most people. Parties, gift shopping, arranging childcare, baking cookies, etc. It can get into the heads of even the best of us! But that doesn’t matter, if you can carve out that one hour, 3x per week, to let you do you! Where else can you get in the best physical and mental shape of your life, with only 3 hours of effort per week? Many people spend 4-7 days in the gym, for 2-3 hours at a TIME! Who has that kind of TIME? Not me, and probably not you! All you really have to do is take the 1 minute to schedule your session and show up. We take care of the rest. It’s the way we do TIME, every single time!